The last of the Kermit Gosnell co-defendants were sentenced in June, 2014, putting an end to the Philadelphia abortion “House of Horrors” murder saga. Below is a list of charges for which they were found guilty and the sentences they received. A list of each defendant’s original charges can be seen here. The full archive of original reports from Operation Rescue related to the Gosnell abortion/murder case can be viewed here. Found Guilty at Trial: Jury found him guilty of 3 counts of First Degree Murder, 21 felony counts of illegal abortions beyond the 24 week limit, 211 counts of misdemeanor counts of violating the 24-hour informed consent law, numerous conspiracy and corrupt organization charges. In addition, he was found guilty of involuntary manslaughter in the death of abortion patient Karnamaya Mongar. He also pled guilty to Federal charges of conspiracy to distribute controlled substances, including oxycodone, alprazolam, and codeine; distribution and aiding and abetting the distribution of oxycodone; and maintaining a place for the illegal distribution of controlled substances. Sentence: Three consecutive life terms in State prison without the possibility of parole. Gosnell gave up his right to appeal the verdicts in exchange for not receiving the death penalty. 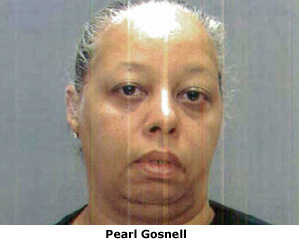 Gosnell also was sentenced to an additional 30 years in prison on the Federal drug charges. Plea Bargain: Pled guilty to Murder in the Third Degree and agreed to cooperate with the prosecution in exchange for sentencing leniency. She testified against Gosnell at his trial. Sentence: Time served (28 months) and 3 years of probation. Plea Bargain: Pled guilty to 2 counts of third degree murder, distribution of a controlled substance, and conspiracy. She agreed to cooperate with the prosecution in exchange for sentencing leniency. She testified against Gosnell at his trial but did so less than enthusiastically. Sentence: 2 1/2 years in prison, which was less than prosecutors had wanted. Plea Bargain: Pled guilty to two counts of third degree murder and agreed to cooperate with the prosecution in exchange for sentencing leniency. He testified against Gosnell at his trial. Sentence: 6-12 years in prison. Plea Bargain: Pled guilty to third-degree murder and other charges, admitting that she administered some of the overdose of Demerol that killed abortion patient Karnamaya Mongar. She also admitted to participating in a cover-up by lying about what happened and destroying files. During her court testimony for the prosecution, West denied ever having done anything wrong. Sentence: 5-10 years in prison. Pled Guilty: Illegal late-term abortions, racketeering, and conspiracy. She turned against her husband to save herself, but did not testify against him at his trial. Sentenced: 7-23 months in prison. Found Guilty at Trial: Guilty of numerous crimes, including conspiracy, participation in a corrupt organization, and two counts of theft by deception. Sentence: 6-23 months of house arrest, 2 years of probation, and 100 hours of community service. Plea Bargain: Pled guilty to perjury. Agreed to testify against Gosnell in exchange for sentencing leniency. Plea Bargain: Pled guilty to sustaining a corrupt organization and other offenses. Sentence: 30 months of probation. Charges Dropped: Joe’s single charge of conspiracy was dropped. She never testified at Gosnell’s trial.